In honour of Vaughan’s commitment, Sheet P.C. has asked him to be our Speaker at this year’s Annual Parish Assembly. He has agreed to share “Some Unusual Stories about Sheet” with us – which sounds very intriguing!! 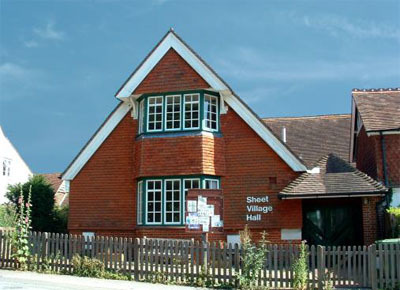 Annual Parish Assembly is being held on Thursday, 9th May at 7.00 p.m. at Sheet Village Hall and all are very welcome to attend. The Annual Parish Assembly minutes for 2018 can be viewed here. The Annual Parish Assembly minutes for 2017 can be viewed here. The Annual Parish Assembly minutes for 2016 can be viewed here. The Annual Parish Assembly minutes for 2015 can be viewed here. The Annual Parish Assembly minutes for 2014 can be viewed here.